Why is Eugene paying artists to glorify Tracktown’s 2021 championships? In the upcoming week, Eugene will be transformed with a colorful array of new murals, street art installations and gallery walks during 20x21EUG Mural Project’s Eugene Walls, which is part of the Downtown Visual Arts Festival. 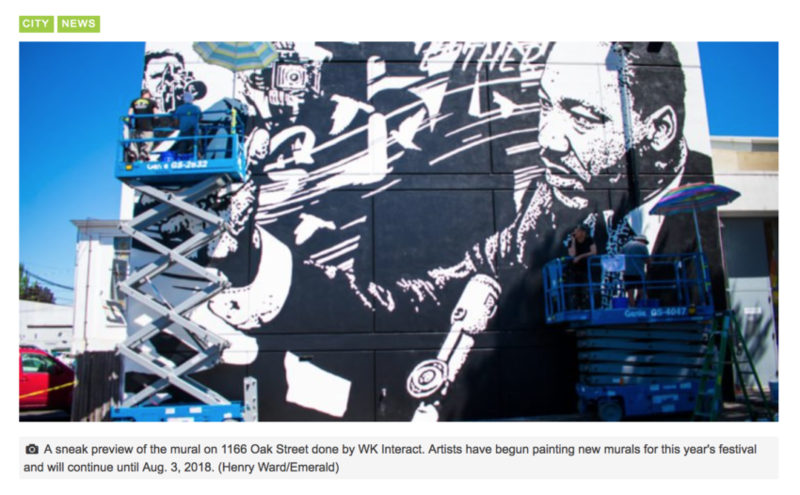 From July 27 to Aug. 3, artists from around the world will be creating murals and street art as part of 20x21EUG’s initiative to add 20 murals by international artists to Eugene by the year 2021. The goal of the 20x21EUG Mural Project is to showcase art from around the world when athletes converge on Eugene for the International Association of Athletics Federations (IAAF) World Championships in 2021. This is a public records request to you in your capacity as Lane Arts Council Executive Director, regarding the 20x21Eug project (https://www.20x21eug.com/about/). 1) The project’s overall budget. 3) The five largest contracts with artists (as measured by including fees, honoraria and expenses) that have been signed so far. I ask for a fee waiver on the basis of public interest, given the apparent expenditure of public funds. Please send these documents as pdfs to this email address. 6 Responses to Why is Eugene paying artists to glorify Tracktown’s 2021 championships? Arts committee wisely jumped on board the gravy train to find funding. Once this event is done and gone, Eugene will still have far more public art than it did before, none of which as far as I can tell specifically references the event. If you were smart, you’d be pointing out how nice the economics offices would be for the event, if only they were completely renovated. Historic PLC is a monument to Le Corbusier’s genius, as interpreted by Stalin. Surely you’re not suggesting that UO’s economists would be so crass as to sacrifice this for AC? As long as they’re covering up the gang-tagging graffiti which has exploded in Eugene over the last 10 years, please, by all means, do so. 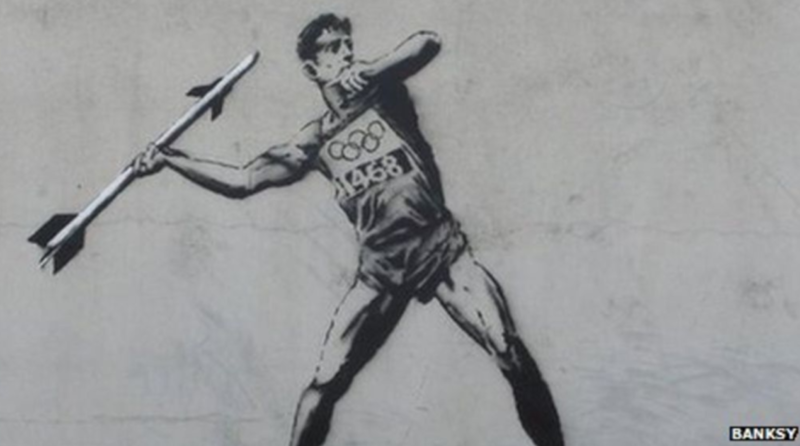 I’ll take Banksy over ED, Soap, and the rest of the clowns tagging around the emerald city any day. Graffiti is indicative of criminal activity and specifically gang activity. 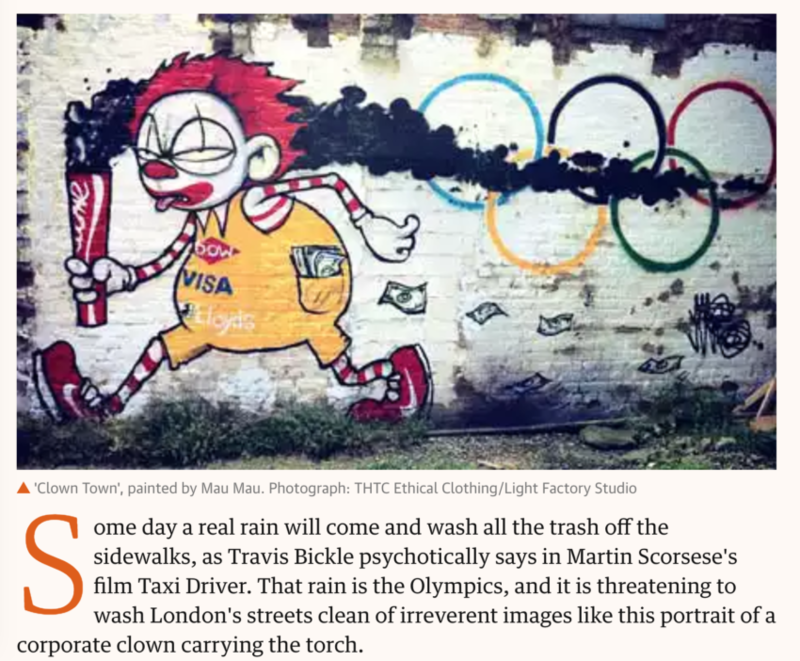 It is not just correlation, it is causation, graffiti isn’t a natural phenomenon, someone is intentionally choosing to deface private and public property. That kind of diversity is not welcome in Eugene. Really? “exploded?” The gangs are coming! Quick, lets spend money on corporatized art playing at diversity* to help stop the gangs! Don’t try to kid yourself, let alone the rest of us.